Help children practise and perfect their 2 to 12 times tables with this entertaining write-in activity pad. There are a range of different puzzles and activities for each times table, from number wheels and multiplying machines to speed calculations and multiplication grids. 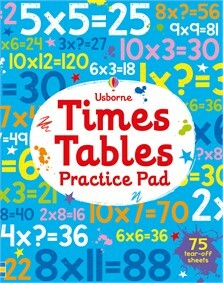 Top tips, times tables and puzzle answers are at the back of the book.